Congratulations to our graduating Religious Studies students! Dr. Daniel Stevenson in the Christian Science Monitor: Is Rohingya crisis changing West's 'romanticized' view of Buddhism? Religious Observance Dates -- New Resource! 2016 FODORS Speaker, Dr. Robert Orsi: What is "Catholic" about the clergy sexual abuse crisis? The frenzy about high-tech talent: why not study something you like? 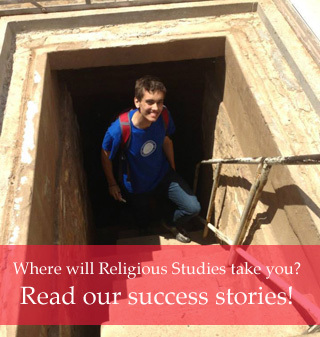 Apply for 2015-2016 Religious Studies Departmental Scholarships!